The PDP in Plateau on Tuesday reacted to Gov. Simon Lalong’s interest in another term, with its spokesman, Mr John Akans, saying that Lalong’s administration had not made much progress. Lalong declared his interest in a fresh tenure at a meeting of the All Progressive Congress (APC) stakeholders in Jos, on Friday. Lalong, while seeking the stakeholders’ endorsement, said that he needed four more years to consolidate on his achievements in the areas of security, infrastructure, agriculture and education. But Akans said in Jos that Lalong had “largely been an absentee governor”. “We all want to see him in Plateau working for the people, but he is never in the state,” Akans said. Akans accused Lalong of “massive waste of resources on frivolous activities that have earned the state more enemies than friends”. Akans further claimed that many Plateau voters had regretted voting Lalong into office, and advised the governor to use the remaining one year to address security issues that had bedeviled the state. “`Lalong has performed very credibly; just last month, President Muhammadu Buhari visited the state and inaugurated several projects. Everybody witnessed the inauguration of the projects. 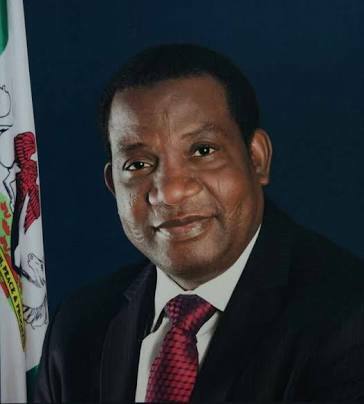 Dafat said that Plateau people would decide Lalong’s fate at the right time, and particularly commended Lalong for paying salaries of workers consistently, since he came into office. On the attacks in the rural communities, Dafat declared that they were “purely political”.